New theory says all those 'dirty snowballs' came together to form the dwarf planet. If being downgraded from planet to dwarf planet back in 2006 was one identity crisis for Pluto, here’s another: Scientists now say the ninth rock from the sun could be a sort of giant comet, having formed when a billion or so comets clumped together in the solar system’s early days. 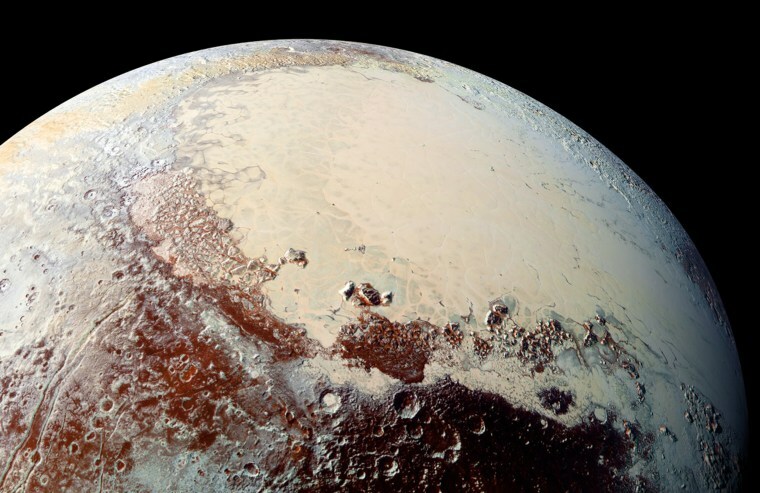 The researchers hatched their new “cosmochemical” theory — described in a study published May 25 in the journal Icarus — after studying the composition of a vast glacier that forms the left lobe of a prominent heart-shaped feature on Pluto’s surface (see above). Using data from a pair of unmanned spacecraft that visited the outer solar system in recent years, the scientists determined that the amount of nitrogen in the glacier is just what would be expected if a billion comets similar to one known as 67P/Churyumov-Gerasimenko coalesced to form a planet roughly 4.5 billion years ago. The spacecraft that provided the data were the European Space Agency’s Rosetta probe, which orbited Comet 67P between 2014 and 2016, and NASA’s New Horizons spacecraft, which launched in 2006 and conducted a six-month-long flyby of Pluto and its moons in 2015. By studying these icy building blocks, scientists may be able to paint a clearer picture of Pluto’s origin and evolution — which, in turn, may give us a better understanding of how our entire solar system came to be, said Benjamin Bromley, a professor of physics and astronomy at the University of Utah, who was also not involved with the new research.